American Express is as American as apple pie. More Americans are carrying American Express cards these days than every before – and for good reason. Many perks, high consumer satisfaction rates and its “Selects” program, which offers a wide array of savings for club members. This week, we take another look at AMEX, its many credit card offerings and of course, its many benefits and perks. As mentioned, the AMEX family offers an impressive suite of savings in its Selects program. From discounts on cruises, hotels and even vacation home rentals, you can expect to find hundreds of impressive offerings at any given moment on the American Express Selects page. A few retailers include Barnes & Noble, Pottery Barn and Target. We especially like the idea that it’s a “living” network, meaning the list is updated almost daily and the number of partners is really impressive. While many of the offers bring you impressive savings, even the ones that might save only a few dollars along the way are worth the few minutes needed to take advantage of them. For consumers, the Blue Cash is hard to beat. This American Express offers a no annual fee card with the flexibility to split your payments over time (perfect for many consumers). Also, there are cash back offers, including up to 3% cash back at supermarkets. It also offers a $25 referral bonus any time you refer a friend or family member and they are approved for their own Blue Cash Everyday AMEX. It’s a straightforward credit card offer that manages to keep the complications away without stripping card holders of those benefits they’re most likely to actually use. This offer is perfect for those who love to travel as it provides special travel packages you won’t find anywhere else. That said, there is a $175 annual fee, though it’s waived your first year. You should also know that additional cards associated with your account have a $35 annual fee if you have more than five cards on the same account. If that’s not the case, no worries since those fees will be waived each year. All of the latest in fraud technology is built in too. The American Express Travel Service is also a part of this card offer, along with many more perks and benefits. Today’s business owners are savvy and always looking for ways to increase profits while cutting expenses. Small and medium businesses have benefited from the American Express business card suite for years and the Gold Rewards card is one example of how these business owners are taking advantage of savings. From unlimited rewards potential, no expiration dates and routine marketing efforts, this business charge card is all about benefiting today’s small business owner. Depending on how you use the AMEX business gold card, it could easily add up to some really nice annual savings. For instance, shift $5,000 of your business purchases to your AMEX card and you instantly add an additional 25,000 bonus points each year. Use them for cash back, merchandise, travel or even gift cards There is no pre-set spending limit, however, your purchases at any given time are based on your current credit record and account history. Finally, this card is approved with a “good” credit score, versus other business credit card offers that require “excellent” ratings. Finally, don’t forget American Express offers gift cards. With graduations, weddings and other celebratory events coming up, these are perfect for family members, friends and employees. They can use their American Express gift cards wherever the card is accepted and you may choose any denomination between $25 an $500. This redefines the “perfect for everyone” ideal consumers are always looking for while gift shopping. There are many great American Express offers available, each one with its own host of benefits and perks. Keep in mind, though, the AMEX brand is, by design, a charge card, so check the terms and conditions to ensure you can pay the balance each month (or over a few months, depending on the card’s dynamics). 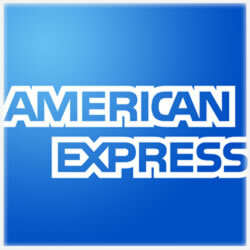 With so many new features, if you haven’t considered American Express recently, it’s a great time to do so.